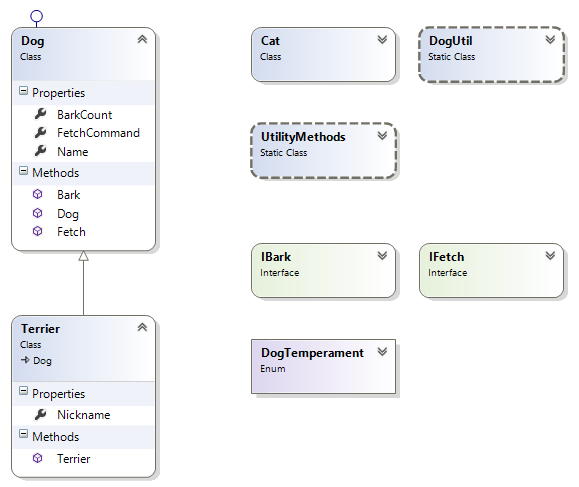 By default, when you add types to a class diagram, they are displayed collapsed, showing only the name of the type and the category (e.g. class, interface). You can expand individual types by clicking on the double downward facing arrow. You’ll then see all the members of the type. 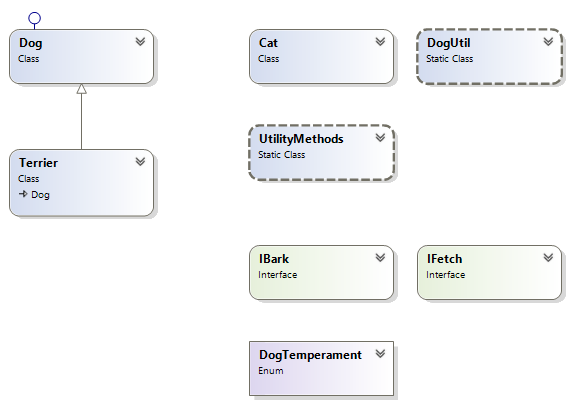 Selecting Layout Diagram will reorganize all types so that they are layed out in a nice way. The only problem is that types that are not connected to other types in the diagram will once again be collapsed. You’ll need to expand and manually lay out these types.